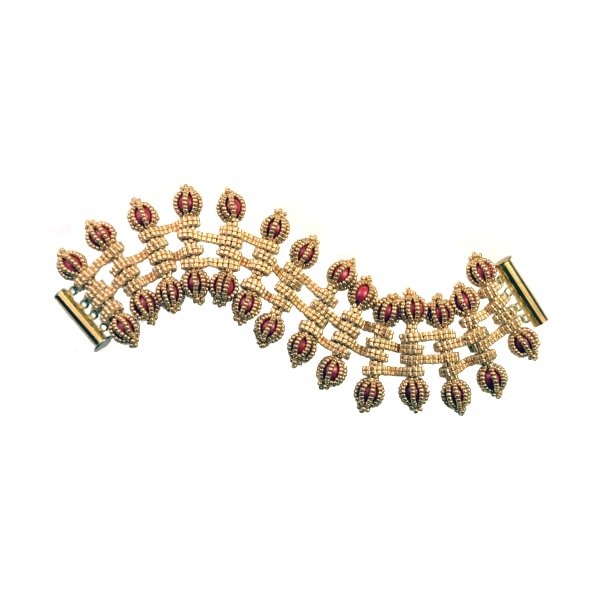 This ornate bracelet is an advanced variation on my original Gates necklace and uses the same base technique but with added decoration. This decoration can be beaded on the necklace if desired and the ideas mixed-and-matched so you can create your own unique variation. This is currently a class.